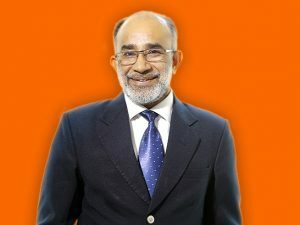 K J Alphons, Minister of State for Tourism (I/C), Government of India will be inaugurating the project ‘Development of Tribal Circuit: Jashpur- Kunkuri- Mainpat- Kamleshpur- Maheshpur- Kurdar-Sarodadadar- Gangrel- Kondagaon- Nathiya Nawagaon- Jagdalpur- Chitrakoot- Tirthgarh in Chhattisgarh’ implemented under the Swadesh Darshan Scheme of Ministry of Tourism, in Gangrel, Chhattisgarh on September 14, 2018. This is the second project under the Swadesh Darshan Scheme being inaugurated in the country. This project was sanctioned by the Ministry of Tourism in February 2016 for Rs 99.21 crores. The project covers 13 sites in Chhattisgarh, namely, Jashpur, Kunkuri, Mainpat, Kamleshpur, Maheshpur, Kurdar, Sarodadadar, Gangrel, Kondagaon, Nathiya Nawagaon, Jagdalpur, Chitrakoot, Tirthgarh. Development of Tribes and Tribal Culture is one of the prime area of focus for the Ministry of Tourism. The Ministry is carrying out an array of activities for development and promotion of tourism in the tribal region. The Ministry is developing the tourism infrastructure in the region under its schemes of Swadesh Darshan. Under the tribal circuit theme of the scheme, the Ministry has sanctioned four projects to Nagaland, Telangana and Chhattisgarh for Rs 381.37 crores. Major components sanctioned include eco log huts, craft haats, souvenir shops/ kiosk, tourist reception & facilitation centres, open amphitheatre, tribal interpretation centres, workshop centres, tourist amenities centres, last mile connectivity, wayside amenities, viewpoints, nature trails, solar illuminations, signages solid waste management, etc. These components are perceived to improve existing tourist facilities and enhance the overall tourist experience.